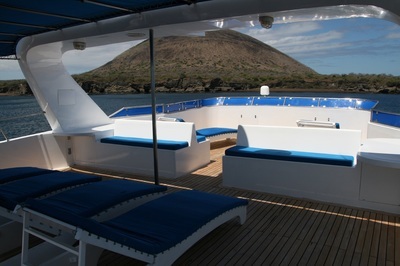 The TipTop IV is one of the fleet of four vessels owned by the company formed by Rolf Wittmer, the younger son of Margret and Heinz Wittmer who arrived in Floreana in 1932 to free themselves from post-war Germany. 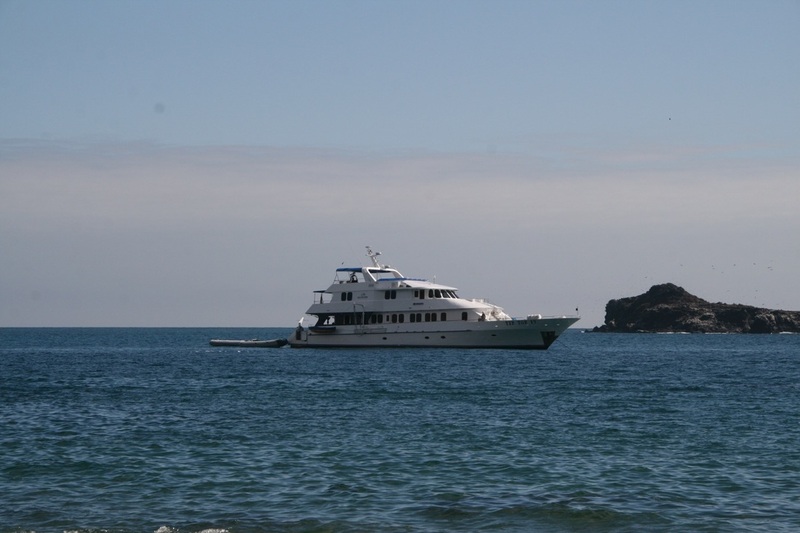 Theirs is an interesting story which can be read about elsewhere. This web site is a good starting point - http://www.margret-wittmer.com. 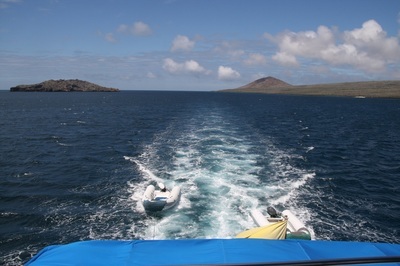 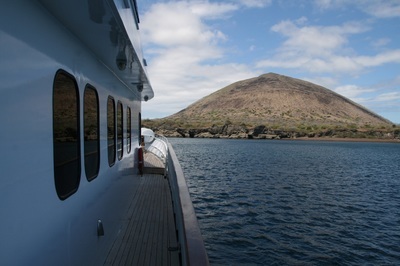 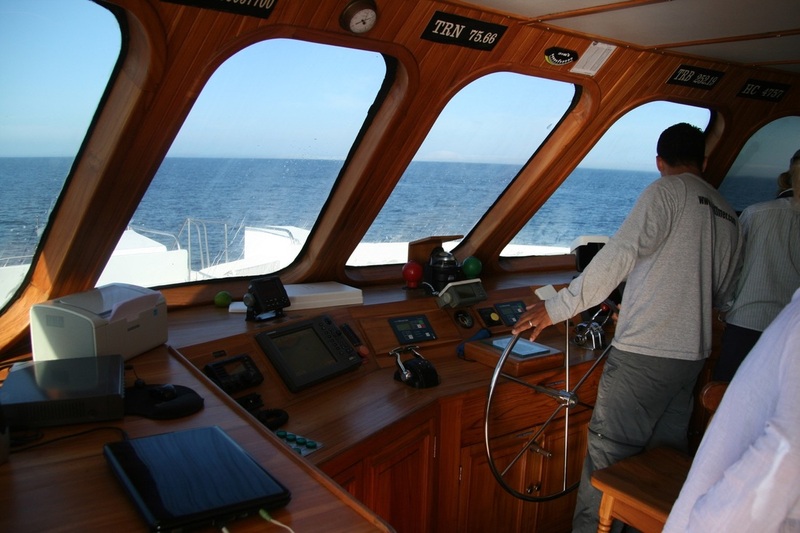 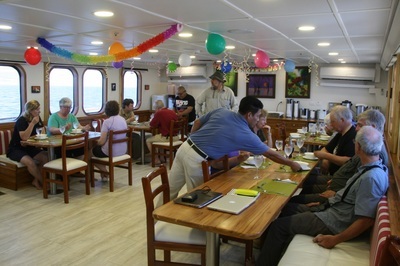 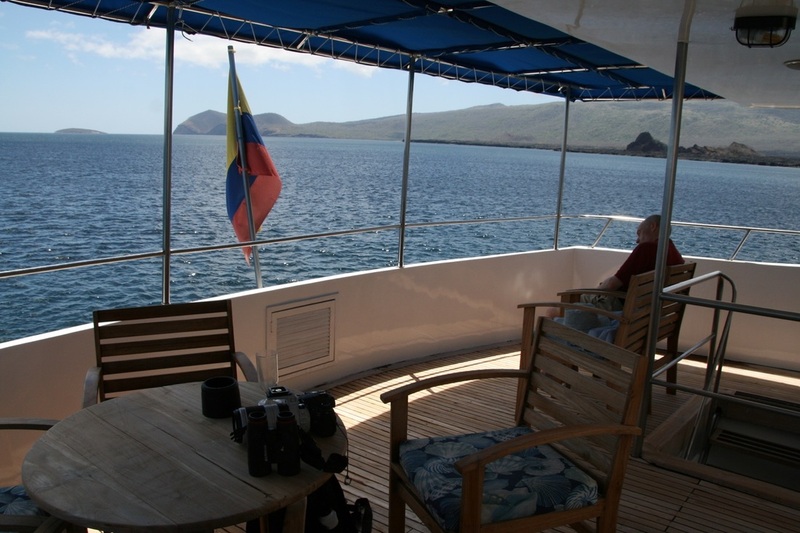 Rolf was born in the Galapagos and formed one of the first companies to start cruising tourism in the archipelago. He sadly died in 2011. 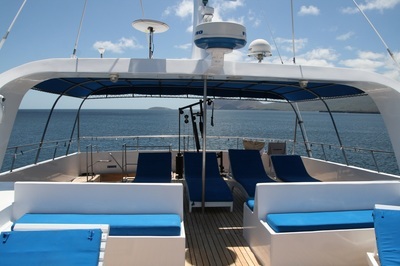 The TipTop IV is 125 ft long, has a beam of 25 ft and a draft of 6 ft. Cruising speed 12 knots. 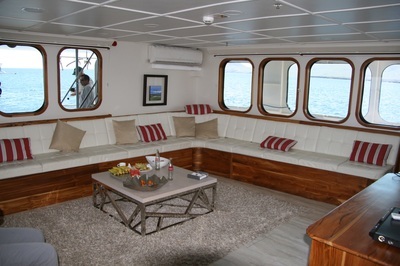 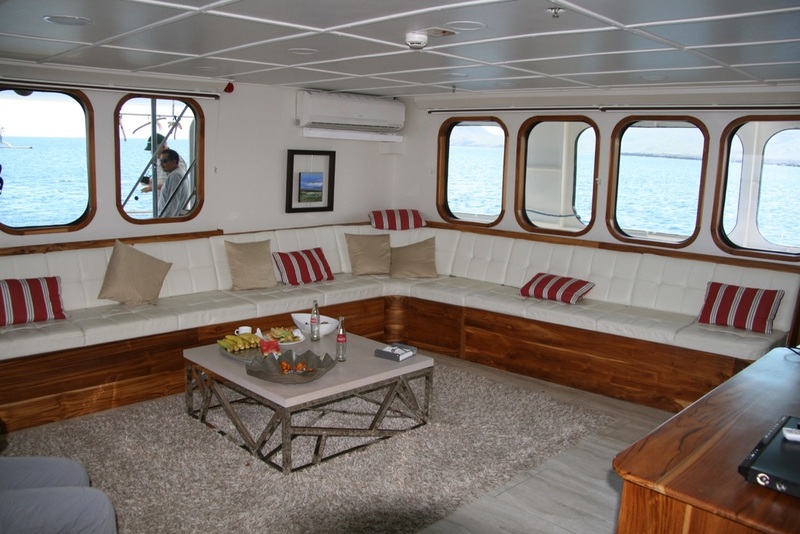 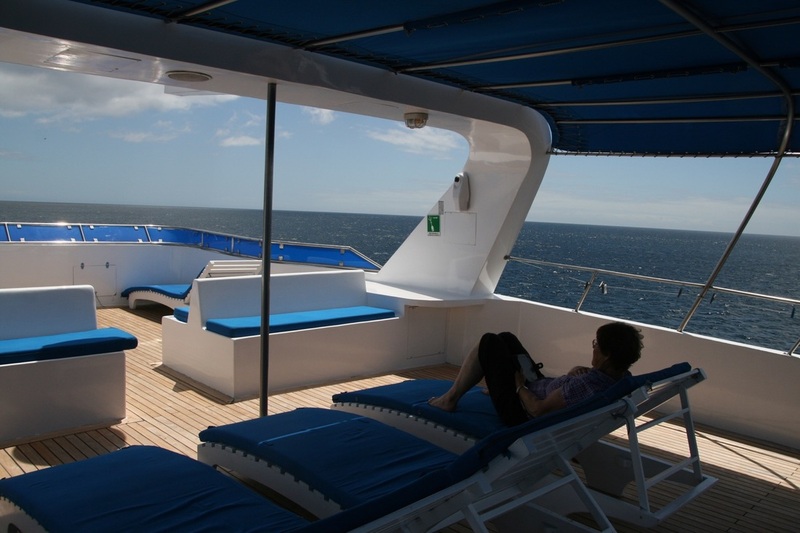 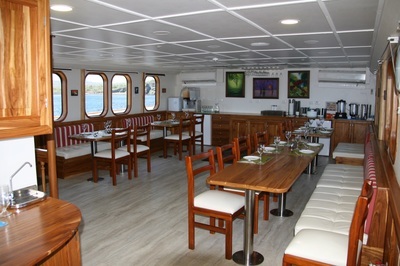 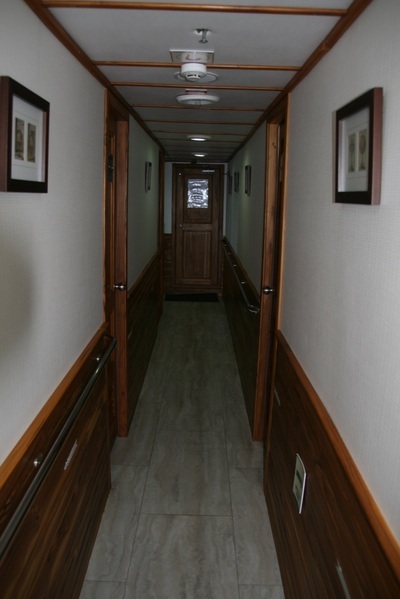 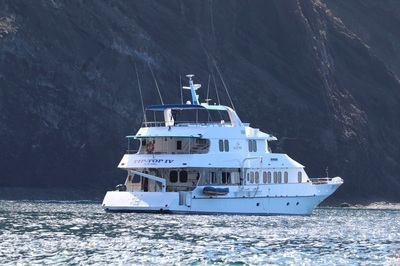 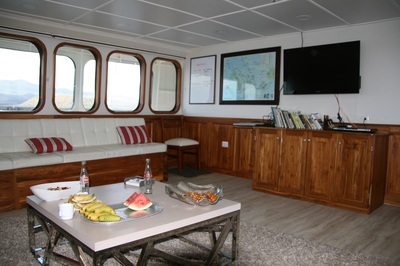 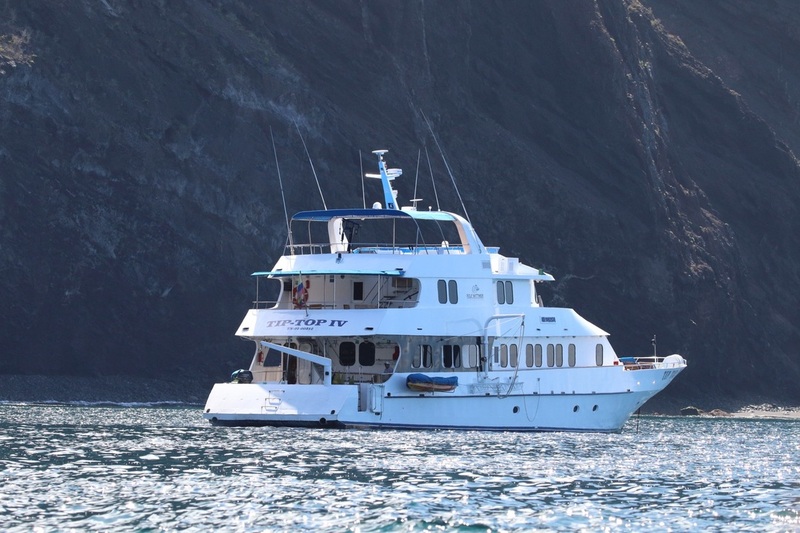 It has a crew of 8 and accommodates 16 people in 10 cabins. 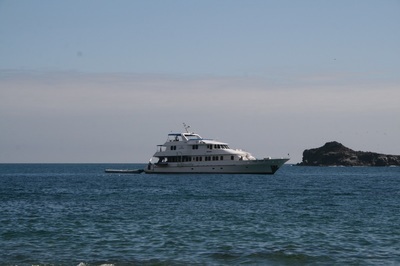 As can be seen, it is a lovely vessel. It carries 2 pangas to transfer passengers from the boat to the landing stages or beaches, or to take passengers to snorkelling spots.